Until November I had no idea there was a place called Rotorua, and now I am deeply concerned about the fact that the place is on fire. 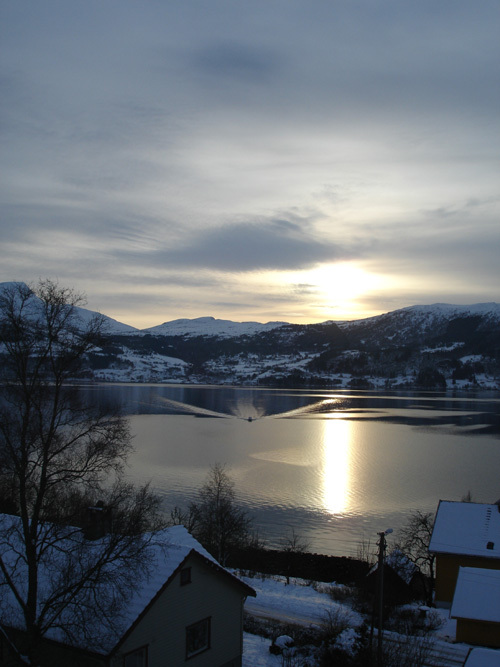 You see, this is one of those places which are definitely NOT like Norway, where I am planning to go before Blog Hui. I want to see something different. Well, it certainly will be, if it's still burning when I get there! According to the news the sulphur in the environment makes the whole place highly flameable, and the Hell's Gate is closed due to the fire. I hope the woman wasn't hurt. Well the spa is open, and they offer mud baths. All of this is so totally different from what Volda is like at the moment, I am all aflutter about going. The temperature was down to -10 again today, after yesterday's heating up to -4. Large parts of Volda lost the water due to a break on the main water pipe, which resulted in total panic, as frosen water pipes is one of the main reasons for damage to houses in winter here. Our problem is hardly fire these days, and particularly not spontaneous combustion due to heat.